Amy Jo and Tye are the adventurous type. The type that quits their job and sails around the world, the type to hike the tallest mountain in (almost) every state, and the types to elope in the coolest way imaginable. 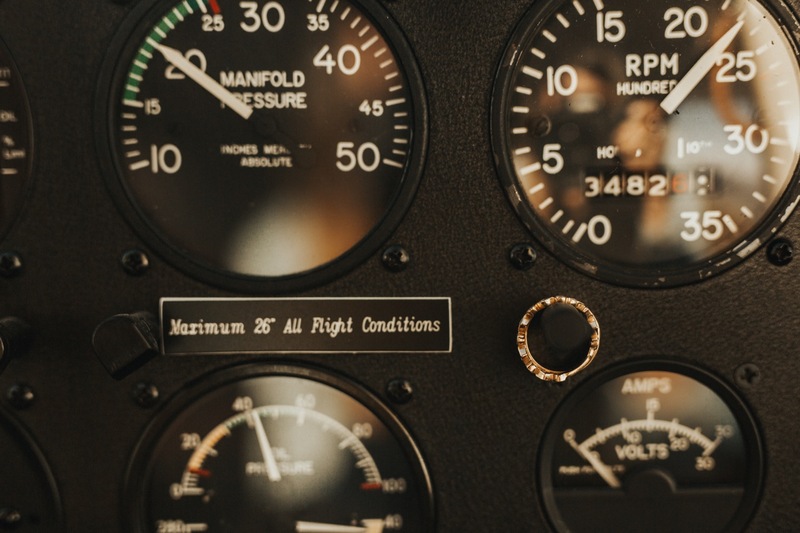 On the morning of their wedding day, Amy Jo + Tye took two Cessna airplanes to one of the most remote places in the States, (and also a place very dear to their hearts, where they have spent their time camping under the stars and Tye even worked as a ranger for a while) and elope. At sunrise, we got into two tiny airplanes and took off out of Spokane, to Moose Creek Ridge. A landing strip nestled in the Bitteroot mountains. With just two of their closest friends, and Tye’s parents, the 8 of us celebrated their love in the best way possible. Because of this crazy (and limited) mode of transport, they wanted a photographer who could also do video, which is how they found me! Above is their love story in film form, below in photos. I’ll let those two pieces do the rest of the talking, but this was by far one of the best experiences of my professional life. Amy Jo and Tye have the biggest hearts. For one another, for each other, and for this beautiful thing called life.